Just finished off at the office. Back home now to pack. Where am I going? - I hear you ask. The Nürburgring 24 Hour race, of course! I'll be heading out tomorrow morning to bring you the gruelling endurance race live from the legendary circuit. 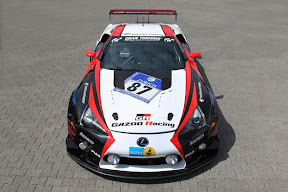 Follow my blog posts on Toyota Europe's Cororate Blog http://blog.toyota.eu/ and this site (http://www.kryptonzone.com/). I'll also be tweeting from @toyota_europe and @KryptonZone throughout the weekend.